I received another e-mail today asking how to post a comment to this blog. Since this is the second request for this information, I figure it is time to explain how now. 1. Click on the COMMENTS link located at the bottom of the blog posting you want to comment on. 2. When the POST A COMMENT window appears, type your comment in that window. 3. 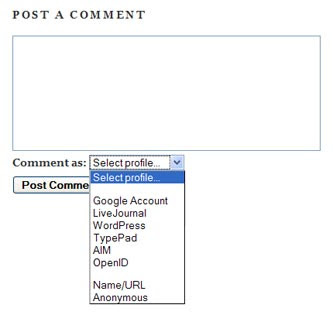 When you finish typing your comment, use the Comment as drop-down window to select a profile. If you have an account with one of the entities in the list, select that entity. Or select Anonymous or Name/URL. 4. If you select Name/URL, type your name and the URL of your Web site in the appropriate fields of the Edit Profile window, then click on the Continue button. Note: If you select an entity or Name/URL in the Profile drop-down menu, then a link to your blog or Web site will appear next to your name above your comment. 5. If you wish, click on the Preview button to see what your comment will look like. 6. Click on the Post Comment button to publish your comment. Your comment will appear sooner or later depending on whether it requires moderation or not. Wow. These items deserve to be in the permanent collection of the American Visionary Art Museum. It's definitely worth a visit when in Baltimore. See www.avam.org for details.